KEYCODE LETTER ENCLOSED FOR WEB RESOURCE-A new keycode must be purchased if the one included in the textbook is misplaced or redeemed. Not Returnable If Unwrapped. 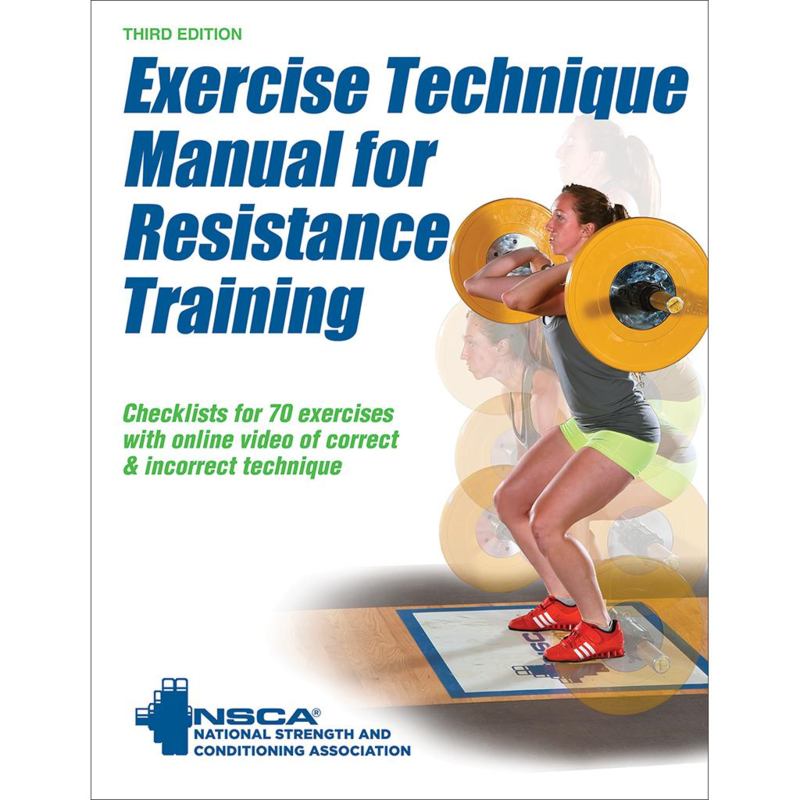 Created by the National Strength and Conditioning Association (NSCA), Exercise Technique Manual for Resistance Training, Third Edition With Online Video, is a practical resource for current and aspiring strength and conditioning professionals and personal trainers. With unmatched visual demonstration of a variety of free weight and machine exercises, the text is a valuable tool for those preparing for NSCA certification and for others who design programs for athletes and clients of all ages and fitness levels. 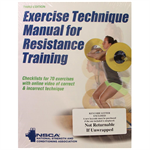 Exercise Technique Manual for Resistance Training, Third Edition With Online Video, is organized by body region, including total body, lower body, upper body, and core, and focuses on specific resistance training exercises that pertain to each region. Every chapter contains a table that describes each exercise’s concentric action, predominant muscle groups, and muscles involved, enabling readers to understand the impact of the exercises on each body region. To reinforce fundamental techniques, the text includes guidelines related to general safety, tips for breathing and spotting, preparatory body position, and weight belt recommendations. Exercises are explained through sequential instructions and photos to ensure that readers will learn the safest and most effective technique. Accompanying checklists identify the correct grip, stance, body position, and range of motion for each exercise. Online videos demonstrate proper technique as well as common errors so that users can recognize incorrect techniques and make appropriate adjustments. These videos are an invaluable resource and visual aid for learning correct technique—in the strength and conditioning facility and in the classroom—and are available at www.HumanKinetics.com/ExerciseTechniqueManualForResistanceTraining. 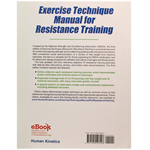 With the inclusion of additional exercises as well as online video demonstrations, Exercise Technique Manual for Resistance Training, Third Edition With Online Video, is the most authoritative and current resource in teaching safe and effective resistance exercise techniques.